Abstraction-Carrying Code (ACC) has recently been proposed as a framework for mobile code safety in which the code supplier provides a program together with an abstraction whose validity entails compliance with a predefined safety policy. The abstraction plays thus the role of safety certificate and its generation is carried out automatically by a fixed-point analyzer. 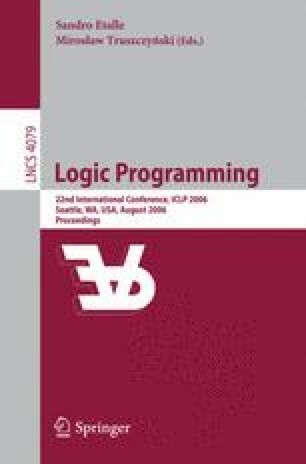 The advantage of providing a (fixed-point) abstraction to the code consumer is that its validity is checked in a single pass of an abstract interpretation-based checker. A main challenge is to reduce the size of certificates as much as possible while at the same time not increasing checking time. We introduce the notion of reduced certificate which characterizes the subset of the abstraction which a checker needs in order to validate (and re-construct) the full certificate in a single pass. Based on this notion, we instrument a generic analysis algorithm with the necessary extensions in order to identify the information relevant to the checker. We also provide a correct checking algorithm together with sufficient conditions for ensuring its completeness. The experimental results within the CiaoPP system show that our proposal is able to greatly reduce the size of certificates in practice. This work was funded in part by the Information Society Technologies program of the European Commission, Future and Emerging Technologies under the IST-15905 MOBIUS project, by the MEC project TIN-2005-09207 MERIT, and the CAM project S-0505/TIC/0407 PROMESAS. Manuel Hermenegildo is also supported by the Prince of Asturias Chair in Information Science and Technology at UNM.